VVV Volunteers Jim Stevens and Chris Bent represented our Veterans Visiting Veterans group at a meeting with the administrative staff of Juniper Village Memory Care in Naples in January to introduce the program and offer to visit the Veteran residents one-on-one for an hour each week and presenting each veteran with a copy of the book 1-800-For-Veterans-Only on the first visit to thank each veteran individually for their service to our country. 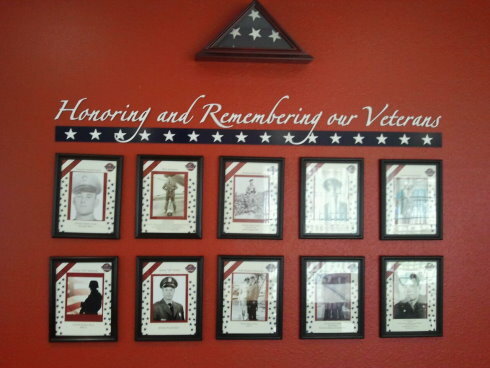 Juniper Village is well-known and respected for their focus on paying tribute to their Veteran residents and they feature the Veterans prominently on a Veterans Wall in the community room to honor them for their service. The wall was installed by VITAS Hospice Care. 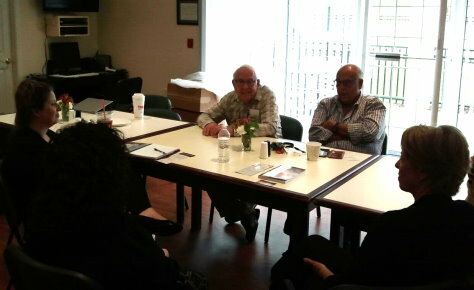 Veterans Visiting Veterans is looking forward to visiting the Veteran residents to offer conversation and companionship to these deserving individuals.